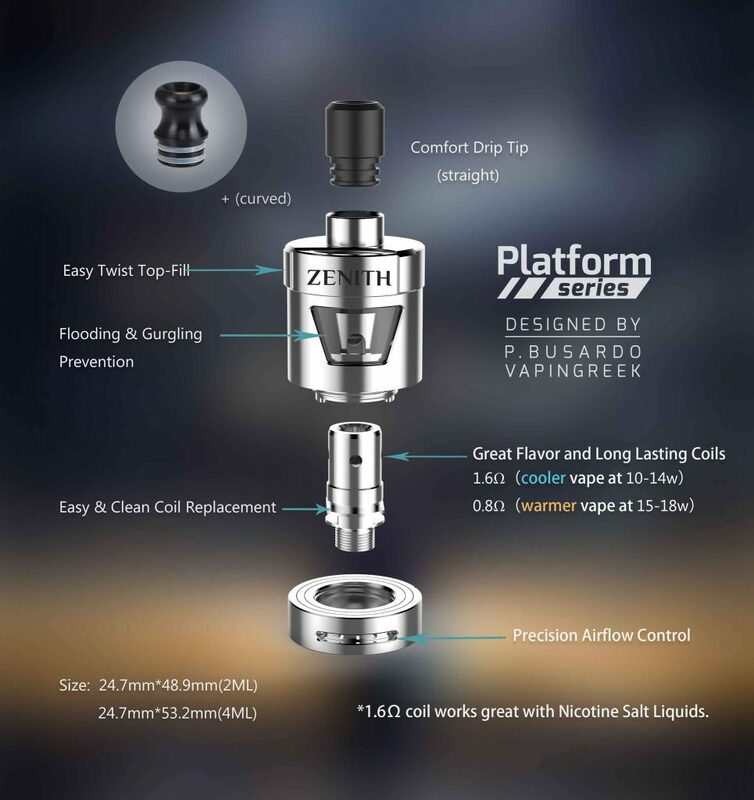 Zenith is called an imaginary point directly “above” a particular location, on the imaginary “sphere”…of vaping! For every smoker who wants to quit smoking, such imaginary “sphere” could be a fast switching to vaping. 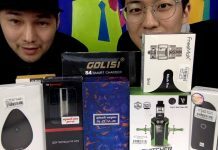 Then, the particular “location” is that of the very beginner in vaping. The imaginary point “above” is an atomizer very easy to use (just like lighting a cigarette), offering the preferred taste from the preferred first eliquid. 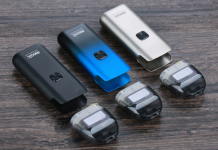 The preferred liquid is the one that can firstly keep the starting vaper away from smoking. 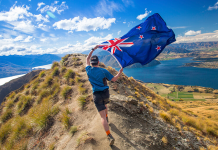 It’s the liquid that its flavour (taste & smell together) will fully “cover” the vaping beginner, possibly without recalling the cigarette’s taste at all. 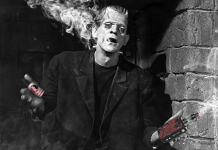 Of course, a higher-nicotine’s level is crucial for a vaping starter to be “covered”. 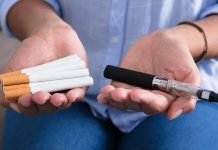 Actually, if someone is fed-up with smoking and seriously thinks to switch to vaping, then the first thing that comes into consideration is to be able to keep the simplicity of the smoking’s use into vaping, too. 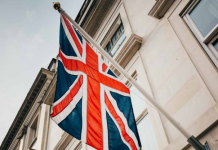 There is also another important thing, though, that must be taken into consideration for a successful and fast transition from smoking into vaping. 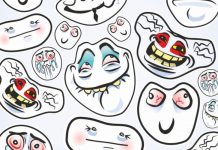 But this is unknown to most future “switchers”, prior to trying their very first vaping puffs. This is to keep the tightness of the smoking puff into the vaping puffs. This means very tight/restricted MTL draws/puffs. This boils down into looking for a very “tight” MTL atomizer, as the first choice for testing/buying. 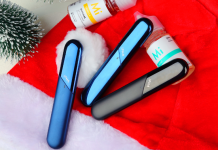 The simplicity/ease of use of a clearomizer (an atomizer with ready-made coil-heads) can indeed keep vaping starters away from smoking thoughts. 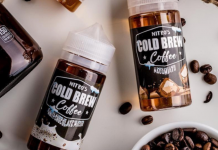 However, it all depends on the vaping liquid used. Actually, on its vapour’s taste/flavour. This means that it’s a matter of the vapour’s taste/flavour “revealed” by the clearomizer. 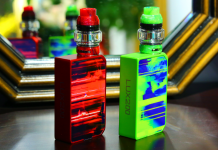 Amongst the easiest to use, but also tasteful and adequately tight MTL atomizers/clearomizers for vaping beginners, you can surely consider the Innokin Zenith MTL Tank. It’s a 24mm-diameter tank MTL atomizer with easily replaceable ready-made coil-heads (clearomizer) and a 4ml tank capacity (or a 2ml tank – TPD version) that can very easily be liquid-replenished. Its price is low. 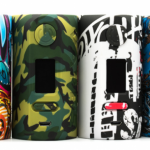 Its whole design is leaning towards covering the needs of a utilitarian buyer/vaper. 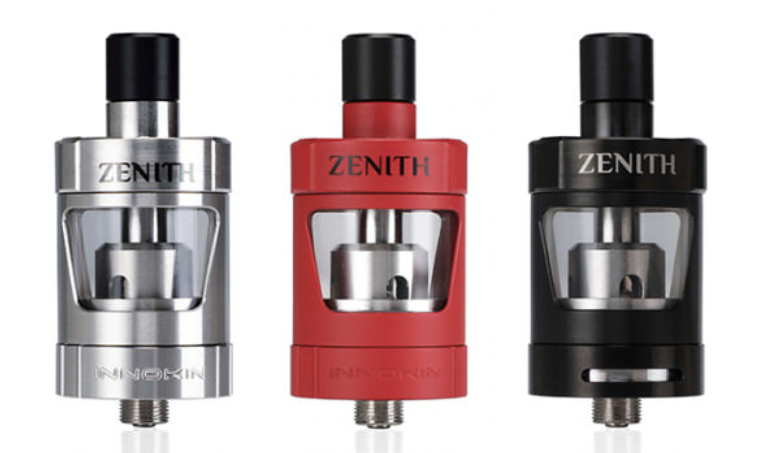 The Innokin Zenith MTL Tank is made like a… tank! 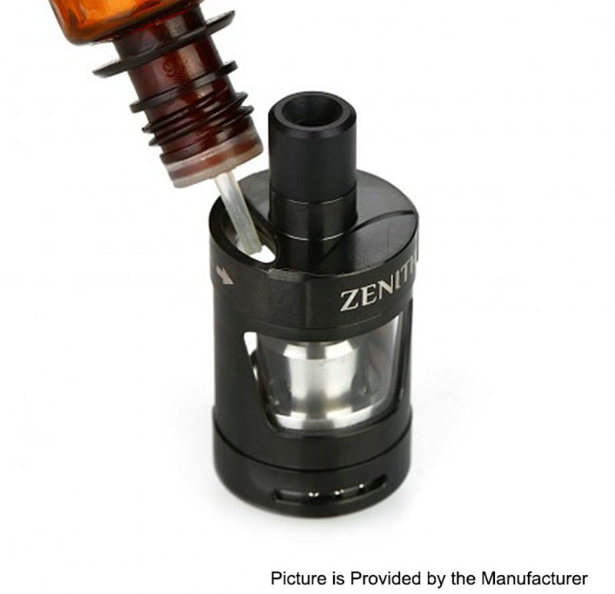 The Zenith consists of only two parts (besides the drip tip and the coil-head): (a) the metal-“jacketed” glass tube tank that also incorporates the atomizer’s “bell” (vaporization chamber) and (b) the base that incorporates the airflow ring. 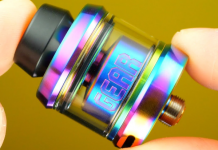 The tank’s glass tube does not come out of its metal “jacket”, which is actually one piece with the rotating top cap, the “bell” and the protruding tip for inserting the drip tip. Thus, the tank’s glass tube is not replaceable. If you are afraid of breaking it somehow (it’s only psychological! 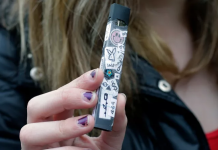 ), just use a rubber vaping-band around the tank. 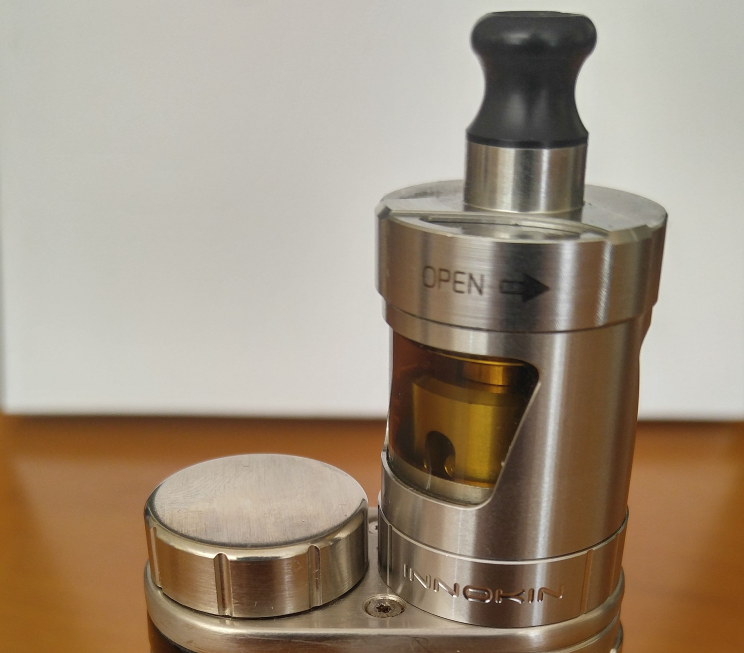 Although it seems that the Innokin Zenith MTL Tank cannot be easily cleaned inside, just let warm running water in at both ends of the tank (it works fine). Then, shake off and blow out any residual water. You can then insert a twisted paper towel into the tank (at both of its open ends) and twisted it around. That’s it. There are no orings that need to be “greased” after washing. 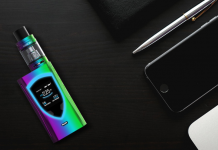 Innokin Zenith MTL Tank is a top-refilling tank… for real “on-the-go” liquid-replenishing! Simply rotate the top cap and a wide-enough liquid-filling hole will be revealed. 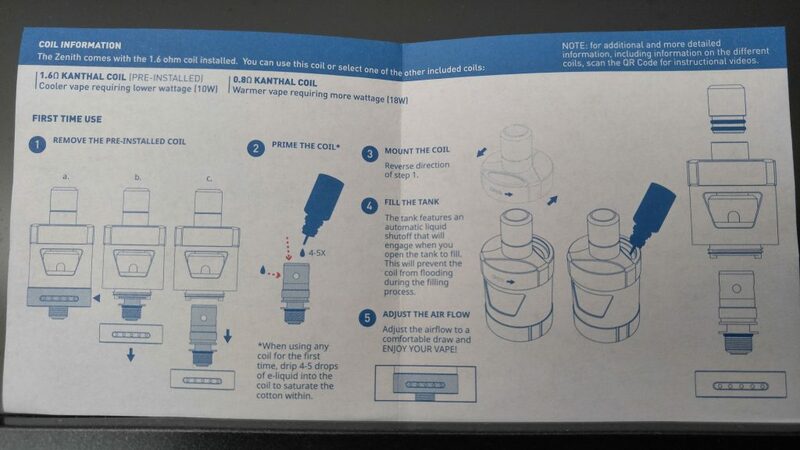 This means that you don’t have to hold on your hands (as usually) an unscrewed top cap along with the liquid’s bottle and its lid, when you want to refill a clearomizer, while… walking! When you rotate the top cap for liquid replenishing, the “bell” also rotates, blocking the liquid–supply holes of the coil-head. It’s a smart design for avoiding liquid over-feeding a coil-head that has a quite sufficient liquid saturation (by construction). Thus, there would be no issues of flooding (no liquid drops out of the airflow ring’s holes). 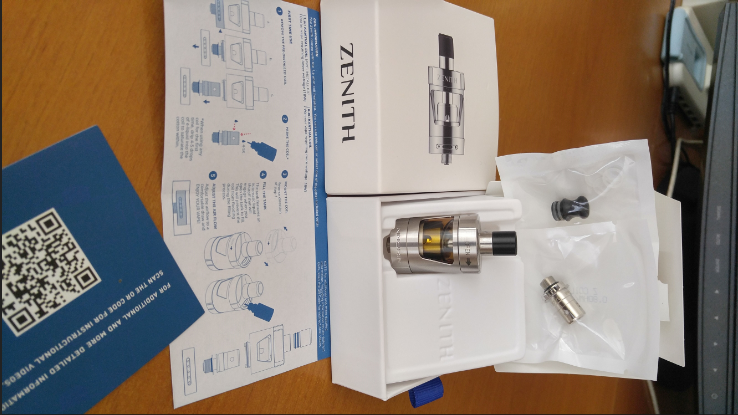 The Zenith’s package has two ready-made BVC (Bottom Vertical Coil) coil-heads: one of 1.6Ω (pre-installed) for a cooler vapour at 10-14W and one (spare) of 0.8Ω for a little hotter vapour at 15-18W. 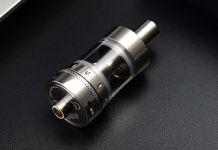 The 0.8Ω coil is more suitable for liquids with a higher VG percentage. 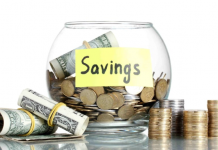 The replacement coils’ price is quite economical. 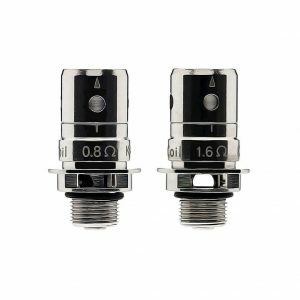 The 1.8Ω coil is durable enough for MTL vaping beginners: at 10W, it can be used for more than 60ml of a “clean” -50/50 (VG/PG)- liquid. 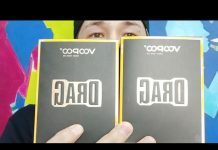 “Durable” includes no deterioration of the liquid’s flavour also in chain vaping (good quality cotton). 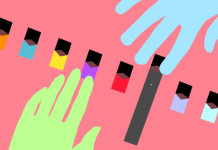 In an clearomizer, the coil-head’s design/construction, the design of its vaporization space (“bell”) and its vapour’s “guidance” into the mouth (“chimney” and drip tip included) plays a significant role to the perceived vapour’s flavour. 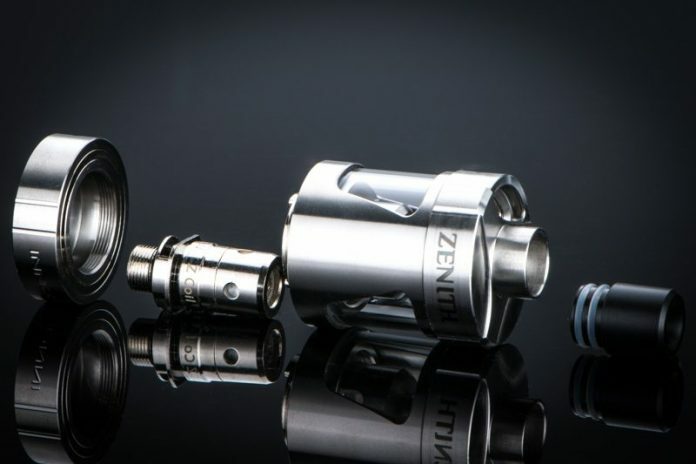 Zenith’s coil-heads are of relative long and wide dimensions, thus not actually covering the tightest of the MTL vaping styles of a beginning vaper. But, exactly that, explains why these coil-heads produce enough and dense vapour at low wattage, presenting also a surprisingly long lifespan. 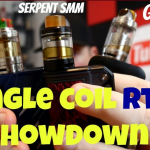 Both BVC coil-heads are made of Kanthal wire, coil-wound around a 2mm pivot-core (single wire for the 1.6Ω coil-head and double-paralleled wire for the 0.8Ω coil-head). The large enough 2mm pivot-core might mean that the puff would not be very tight for some vaping beginners, even with one air-hole of the airflow ring open. By the way, the airflow ring carries 5 air-holes of identical-diameter to open them additively. But, for most users, letting only one air-hole open, makes the MTL puff adequately “tight”, even when using a fresh 1.6Ω coil-head. As the coil-head’s use proceeds, the puff’s tightness obviously increases and you might find yourself adding more opened air-holes on the airflow ring. The coil-head is inserted into a short “bell”, which is internally dome-shaped. This “bell” is internally covered by a silicone layer for tightly holding the coil-head into place (no screwing needed) and also sealing the coil’s external surface, allowing for the liquid to enter only into the coil-head’s liquid-feeding holes. The resulting small vaporization chamber presents, thus, a not so large vaporization space over the coil-head (for the vapour to “loose” heat at the wattage used). But, at the top of the “bell”, a relatively long and narrow chimney then follows, for condensing the produced vapour (intensifying, thus, the taste) and mixing its various flavour’s notes (“integrating”, thus, the vapour’s flavour). For replacing the coil-head, just unscrew the base, take-off the old coil-head and simply “push” the new one into the bell. You only need to guide the side-cuts of the coil-head’s base-disk into the two notches of the tank’s bottom base and screw back the Zenith’s base. There is no 510-pole pin at the Zenith’s base, as its 510-pole is part of each coil-head. This is a design that cancels any leakage problems appeared in bases incorporating the 510-pole pin. 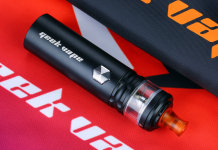 You can replace the coil-head without emptying the tank from the liquid inside, by just turning the Innokin Zenith MTL Tank upside down (obviously with the top cap’s liquid-filling hole closed). You just take care for the liquid inside the upside-downed tank to not reach the bell’s liquid-feeding holes (because that will flood the new coil-head as soon as it is inserted). Of course, the new coil-head needs -as usually in the case of clearomizers- to be adequately steeped before its first-time use. You just drop into the coil-head’s top-opening a couple of decent liquid drops. 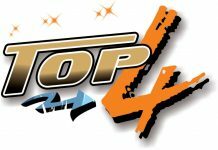 If you are in a hurry to saturate and vape, do drop also one liquid drop in each of the four liquid-feeding holes of the coil-head. Then, you’re good to go in a minute, after a couple of priming puffs (that is, without firing up the coil-head). But, for the very first puffs, do start with an even lower wattage than that mentioned on the surface of the coil-head. Then, gradually increase the wattage to the value you prefer for the taste you’re seeking from each of your liquids. 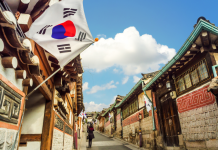 Follow such a starting step of the coil-head’s use, for surprisingly elongating its lifespan. 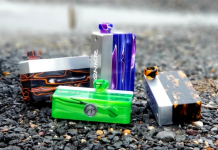 There are two drip tips in the package, a “straight” one already installed and a spare curved one (both with a straight and relatively narrow internal air-channel). Both are suitable for MTL vaping, but the curved one allows for even more “closed” lips. Very thoughtful design, with a very competitive price, but not at all cheaply constructed. Can be ordered with a 4ml or a 2ml tank (both of a 24mm-diameter). Easy to use (easiness of liquid refilling, of cleaning it, of replacing the coil-head with liquid inside the tank). Hassle-free use (no leaking/flooding/gurgling issues, even under “tough” outdoors conditions). Very good coil-head’s performance and lifespan. It’s a taste/flavour-“integrating” atomizer/clearomizer, suitable for the vaping beginners. It’s an atomizer suitable even for experienced vapers, who want to take out with them (even for days) a hassle-free, easy/fast liquid-refilling MTL clearomizer with a durable and easily replaceable coil-head. I find myself regularly using the Zenith (every time I leave home), for its easy and hassle-free use… “on-the-go”. The Zenith’s 4ml version on board the pico25, for my “on-the-go” use.